When it comes to Retreats, Geelong has a few good ones on offer. But in my opinion there is one that outshines them all. 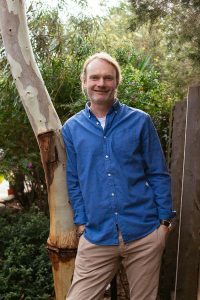 I am biased of course, this retreat is run by yours truly and has many elements that I look for in a retreat, such as meditation, yoga, group gatherings and activities, connection, depth, humour and opportunities for personal growth, oh and delicious organic vegetarian food cooked by somebody else. The retreats I run are based on my Mentors retreats. A Qi Gong (energy) Master, a psychotherapist and Spiritually enlightened soul, he taught me much over 15 years of mentoring and still provides inspiration, training, guidance and teachings. I have immense gratitude for that Soul for assisting me in being able to now offer retreats that have such richness to offer. “Steve set the scene for some groundbreaking Spiritual evolvement” said Ben from Warnambool. “Amazing, Inspirational, Awesome, are just 3 words that totally indadequately describe this weekend of personal growth” said Trish. I’ve been running Retreats, Geelong for 6 years now, 12 retreats in all. Each one has provided the basis for incredible growth for those attending. This is because I design them in a way that provides many opportunities for participants to step out of their comfort zone and into the uncomfortable, unfamiliar or vulnerable state. Stepping into Courage and sharing a little, or a lot about what’s going on for them. I’ve been to other retreats where this is very heavy handed, and participants seem almost forced or pressured to step into the uncomfortable. My thinking is different than this, my way is more gentle. I offer, encourage but never push too hard or force. People usually step up because they sense the growth on offer. Rarely does someone pass. Many years ago, during my 20’s I had an experience that changed my life. It shook me to the Core and awakened something within me that would not go back to sleep.! Since that time I have searched for the highest, purest, most ‘real’ version of Spirituality I could find. I connected with several groups, including a Buddhist group, and the Brahma Kamaris spiritual group. But something just didn’t quite resonate with me with these 2 groups. I decided to run Retreats, Geelong and I found Master Wayne, someone who would become my spiritual teacher and guide until this day. He introduced me to a teacher by the name of David Hawkins, and I read his first book called Truth vs. Falsehood. In that book he explained that inherent within all of us is the ability to ‘Feel’ truth from falsehood (once our energy field has been cleared of many of the impurities of modern life, eg. Toxins, distorted thought forms etc). So the journey toward Truth and Love, guided by Master began. Not long after that I took on some daily practices of Qi Gong. Passed on by the Master. This really helped me clear my energy field and thought field (the mind field) and the ability to feel truth from falsehood increased. Today there is an alignment with the energies of Truth (Integrity) and to the best of my ability I follow this path toward the purest Truth, Love. What to expect at retreat ? When you arrive you’ll be greeted with a warm, friendly smile, and you’ll instantly feel you’ve found a place you can belong. You’ll notice the openness of those present, you can see this and feel this in the way people greet you and accept you into the space. This is a wonderful feeling. These first initial encounters help you settle in and relax and surrender into the experience that will continue to unfold from this moment. Steve (that’s me!) will greet you just after your initial arrival and show you around, and show you to your accommodation. You’ll have a room either to yourself or you’ll share with one other person (if retreat numbers are large). The rooms are large and inviting. Each cabin has a small kitchenette and sitting area with comfortable couches and wood heater. After the tour of the facilities you’ll have time to relax, get settled in, grab a cup of tea and wander around the grounds and meet those you’ll be spending the weekend with. The first group session will take place at 6.30pm. This is where everyone will come together as a group for the first time. We get to meet one another and get a feel for the weekend. (Don’t worry, I won’t be doing that “lets all introduce ourselves to the group thing, it’s stressful enough just being in a room with 16 people we’ve never met before let alone having to come up with some introduction speech first up). It’s an initial group meeting that will help create an atmosphere of calm, a time where Steve will explain that we’re in this journey together and the space will be one of mutual support, growth, togetherness. It will be a non-judging space for individuals can really just be themselves without any requirement to impress or make a good impression. The energy will grow as the weekend unfolds and as the group become more comfortable with one another. Dinner will follow that initial session where we’ll be treated to delicious organic vegetarian and vegan dishes lovingly prepared by the Hare Krishna cooks. Another group session with an activity and a teaching finishing with a guided meditation and deep relaxation will conclude the first night. Yoga will be at around 7.30am in the morning, followed by a beautifully prepared breakfast and another session brings us to lunchtime where we’ll enjoy another group gathering to eat together. The energy really begins to build by now and each person is beginning to feel more comfortable and allowing their deeper suppressed feelings and emotions to surface. You’ll have to attend to see what happens next (I have to keep some things a mystery :). If you’re looking for Retreats, Geelong (or Melbourne) you’re in for a real treat, this is the one for you. What I Love most in the work I do as a therapist and spiritual guide is helping people grow. And ultimately transcend different parts of the ego. The ego is a multi-layered complex beast, a series of archetypes (ego parts) that are embedded within us, implanted from an early age. We are essentially conditioned by our parents, our environment and our experiences when we are young. The spiritual journey is happening for all of us, if you are alive you are on your spiritual journey. Being on a Conscious Spiritual Journey is a different thing. This is where real growth can begin, self awareness increases, taking real responsibility for our choices and creation of our experiences is possible. Working through the ego (what’s another word for ego ? …. Karma). The ego is who we think we are until we find out we are not who we thought we were. So at Retreats, Geelong there are opportunities to explore these archetypes. And perhaps you or someone else will be able to clear an old issue or let go of some old baggage (fear, grief, anger). I’ll do my best to help anyone who is up for it to let go of something while on retreat. Sometimes we aren’t even aware of something we’ve been carrying around for years. If anybody in the group is able to let go of something it will have a profound affect on others in the room who have had similar experiences or their own personal issues. Often there’s a bit of a chain reaction as people feel their own unfinished business (tis a great place to finish business). A feeling of Oneness and togetherness is a big part of these retreats. “We journey together” is a reality experienced from the beginning. Everyone feels supported and able to allow themselves to be a little more vulnerable than in usual circumstances. Many Retreats, Geelong and elsewhere miss this element, but to me it’s the most important, personal wellness and growth are the 2 big ones for me. What other benefits of retreats, Geelong ? The benefits of attending a retreat are many. You’ll benefit energetically by spending 2 days and nights surrounded by lush vibrant forest. We are energy beings and we absorb energy. The forest is a high vibrational energy. Add to that 2 morning yoga sessions, several group meditation sessions, some deep connecting with other like minded souls, some lying on the grass, some reading a book, some personal insights, some reflection time and some Amazing Organic vegetarian food, and you’ll leave feeling supercharged. An old you will arrive, a new you will leave. The Yoga, will open you, the meditations will deepen you, the connections will soften you, the Love will break you down, and rebuild you. 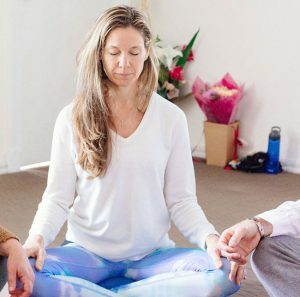 I facilitate 3 retreats per year, two full weekends in a retreat centre situated in a quiet valley the Otways, and a One day Yoga and meditation retreat deep in a forest location. The One day retreat is usually the last week of January and the full weekend retreats are in April and November each year. To book your Retreats, Geelong all you need to do is text, call or email me and let me know you’d like to attend the next retreat. I Look forward to hearing back from you if you’d like to experience one of the best retreats you’ll ever experience.